Candy Clark is most famous for her Oscar-nominated role as Debbie in AMERICAN GRAFFITI, and as David Bowie's girlfriend, Mary-Lou, in THE MAN WHO FELL TO EARTH (1976). 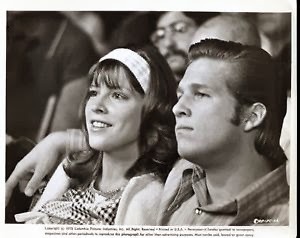 Candy reprised her role as Debbie in MORE AMERICAN GRAFFITI (1979), and can be seen in such notable films as HANDLE WITH CARE (1977), Q - THE WINGED SERPENT (1982), BLUE THUNDER (1983), AMITYVILLE 3-D (1983) and AT CLOSE RANGE (1986). 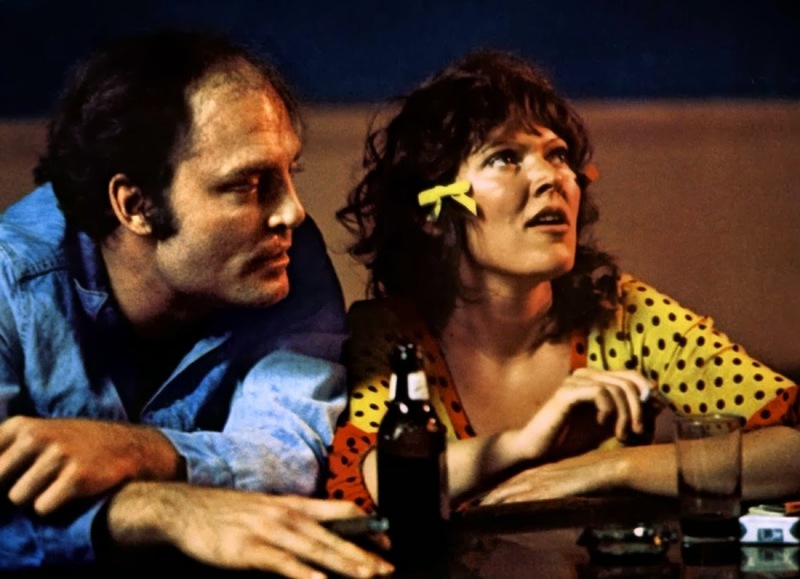 I spoke to Candy about her expereience making her debut film, the John Huston classic FAT CITY (1972). Before making FAT CITY, you were a successful fashion model in New York. What encouraged you to become one? It seemed like something I could easily do. It also paid well! Did you travel to New York with the idea of becoming a model? No, I just went there on a one-week vacation. I was supposed to be going with a friend of mine, but she stood me up. I had bought a youth-fare ticket that cost about $45, and I boarded a midnight TWA flight. The airplane was making its landing around dawn, and I was determined I wasn't going back to Texas when I looked out the window and saw New York City all pink and gold in the morning light. I fell in love with NYC from the air. From '68 to '71. It took me about a year to get comfortable in front of a camera. I had the misconception that you had to freeze for the camera, so it was an uptight experience for me. I eventually realised that the camera freezes you. Then it became fun. I was started to get some repeat clients. Mostly I did teenage modelling for magazines like Seventeen, Ingenue, Glamour and Co-Ed. It didn't pay as well as catalogue modelling but it was better for your status as a model if you had tear sheets from magazines in your portfolio. Did you ever come across Patti D'Arbanville in New York? Yes, we both used to go to a nightclub called The Salvation down on 1 Sheridan Square. We had a mutual friend in Leslie Schiff. I went to his apartment one evening, and there was Patti, all dressed in black leather. She kind of glared at me, and wouldn't speak. I later found out she was only fourteen years old. After that evening though, we've been friends ever since. 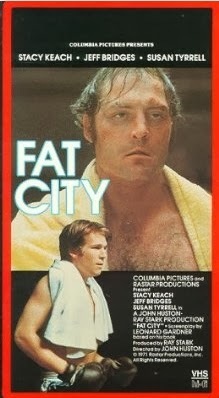 You were an extra before FAT CITY. What was the film you did? I went to a casting office and got a part as an extra in the Dustin Hoffman film WHO IS HARRY KELLERMAN AND WHY IS HE SAYING THOSE TERRIBLE THINGS ABOUT ME? (1971). I was in a crowd of about two hundred people. It was about $35 a day and was lots of fun, so I wanted to do more, so I went to Lynn Stalmaster's office to drop off my picture and try and get more work. Fred Roos was there, who was casting THE GODFATHER (1972) at the time. As he was leaving, Fred asked me if I wanted to go with him to see the screen tests being done for THE GODFATHER in Queens. I met Jimmy Caan and other actors, and even did a little screen test of my own with Francis Coppola. I went back every day to watch the actors trying out. They couldn't get rid of me! 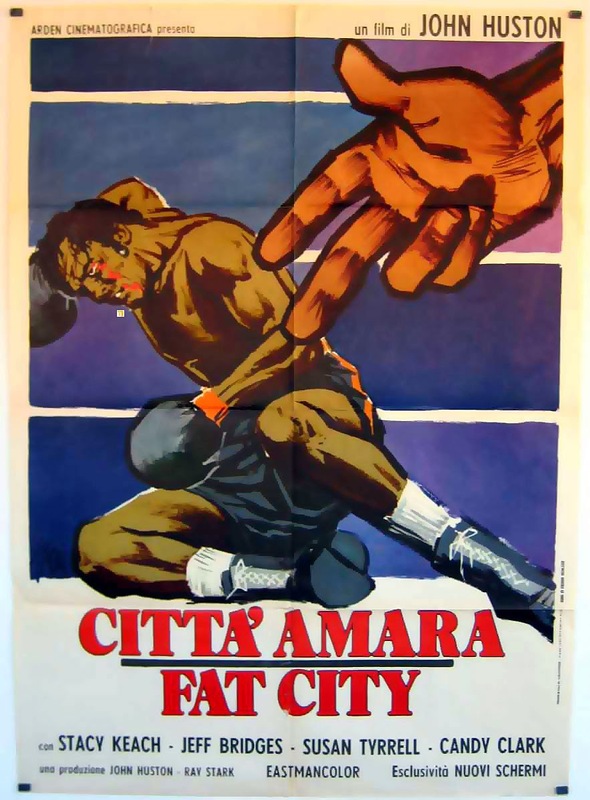 How did you get involved with FAT CITY? How was the experience of attending the Academy Awards? It was really exciting, and the highlight of my trip to Hollywood. I sat on the third balcony behind this huge pillar with rented binoculars that I got in the lobby. What was the experience of auditioning like? How did you prepare for your screen test? I called my mother in Fort Worth and asked her to come to L.A. to help me learn the lines. Jennifer Salt and Margot Kidder were also testing. I remember arriving and there was this cutaway car with just seats and a steering wheel. I did my test with Jeff Bridges, who was very handsome, very down to earth, and didn't seem like he was an actor. I didn't know he had already been cast. I thought I was terrible in the test, but lo and behold, I got the part. Did you have any problems adjusting to acting? Yes, I sure did. Pretty quickly they realised I couldn't act at all. They got a coach, Jeff Corey, up from L.A. to Stockton where we were filming, to try to teach me acting overnight, but it was impossible. My role progressively got smaller and smaller. What are your favourite memories of working with John Huston? He was one of these Hemingway types: manly, British accent, tall, elegantly dressed. I would hang out on the set watching the actors work, and on one nightshoot he wore a Sherlock Holmes cap, a matching cape, and a beautiful Irish wool suit. He was always smoking and inhaling Dunhill cigars. He was also a bit of a bad boy and tried to get Jeff and me to drink tequila with the worm in the bottle. We were too chicken. How was he as a director? He was very patient and forgiving. He tried to help me but I was pretty hopeless. I didn't understand movie set language or what he was trying to get me to do. It was a whole other world. He'd simply say ''Let's do it again!'' I wish I'd made the film farther on in my career. I could have done the part really well, and been proud of my acting. What was the experience of fiming in Stockton like? We were there for two months, and we all had a lot of fun behind the scenes. Everybody socialised together and it was a close, tight-knit group. We all stayed at the Holiday Inn, next to the Civic Center, where there was always something going on - roller derbies, boxing matches, dances. We used to eat all the time in a restaurant called The Azteca, on the wrong side of the tracks. The food was great, and it was fun hanging out with John Huston, Ray Stark and the actors. One day we went there and there was blood on the sidewalk, so we never went back. Stockton was a little surreal. They had these parks where classical music was piped in through megaphones, and lonely old, sometimes drunken men would just sit around waiting for the crops to come in. What are your strongest memories of Susan Tyrell? She was just like her character, Oma. She lived on a houseboat, and Jeff and I would visit her sometimes. There were always these strange and unique characters there - people she'd met on the street or in one of the parks. I remember there was a guy who played the pie plates, spoons and washboard. It was all very entertaining and artistic. Ray was crazy about John Huston, and got up early every morning to cook his breakfast for him. After we returned to L.A., he invited Jeff and I to his house in Beverly Hills. Ray had all these beautiful, oversized bronze sculptures in his backyard, and he inspired me to collect art. What was your reaction when you saw the final film? I thought it was fantastic. Leonard Gardner's writing is like Steinbeck to me; just great, great writing. The film really captured these people who never really succeed and live on the fringes of society. Susan Tyrell was superb and completely deserved her Oscar nomination. Stacy Keach and Jeff were superb too. How do you feel about your performance now? I just cringe with embarassment when I see myself in the film. I didn't understand what the scenes were about or the urgency needed in certain scenes. I was just reciting dialogue. People watch the film now and they don't know what I was going through. I basically tried to model my way through the picture, as it was all I knew. After the film I became determined to improve as an actress, and came back to L.A. and started taking acting classes. I slowly but surely started to figure out what acting was supposed to be about. I spoke with Candy by telephone on 11th August 2012 and would like to thank her for her time. My interviews with Candy about AMERICAN GRAFFITI and THE MAN WHO FELL TO EARTH. 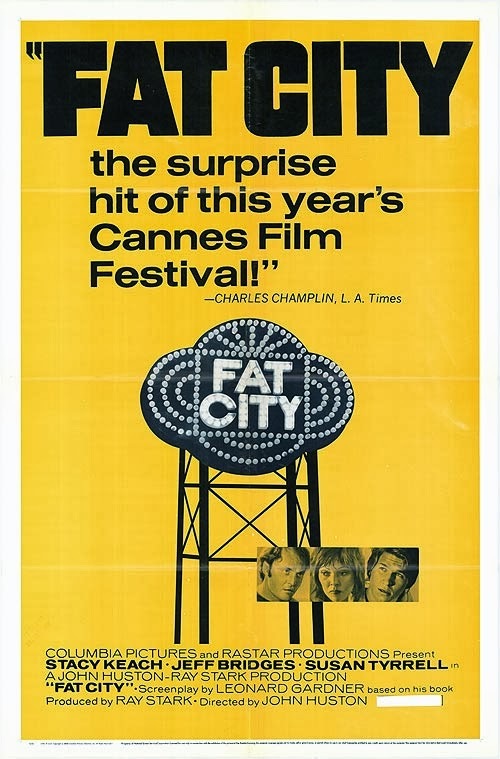 Steven-Charles Jaffe talks about FAT CITY.